It doesn't get any grander than the 38-story Las Olas Grand. Residences run from 1,625 square feet to over 3,000 square feet with 2 bedrooms, 2 baths, to 4 bedrooms, 4 baths plus family room. Twin towers featuring a total of 212 residences. 6 luxury villa townhomes facing the river. 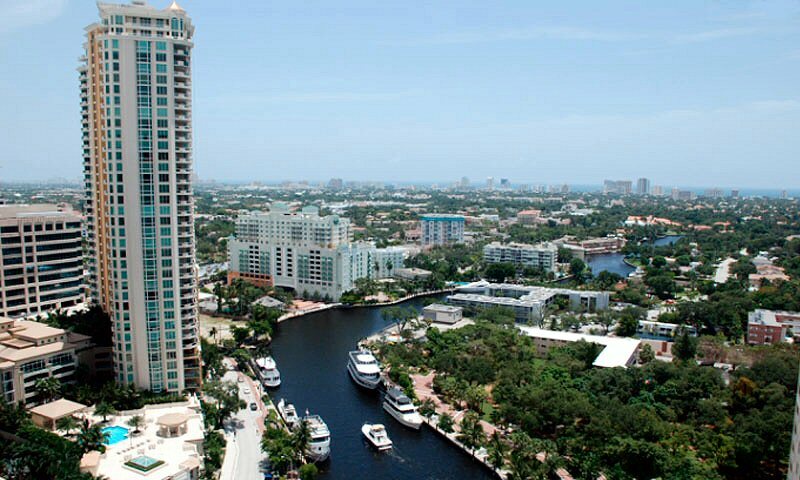 Located on the New River, just off Las Olas Boulevard, the towers will provide breathtaking views of the New River, Intracoastal Waterway and Ocean, as well as, the skyline of Fort Lauderdale. From your terrace, you can overlook the river as it basks in a rosy sunrise or the glow of evening. Your residence itself is lavishly apointed with every convenience and top-of-the-line appliance.There's even a dignified doorman to tend the main entrance. Private professionally equipped fitness center in separate building offering: aerobics, cardiovascular training with cardio theater monitors, resistance training, free weight training, locker rooms, sauna, and showers.